I currently am a CPC. If I see a job in which they are wanting someone with an RHIT or CCS certification, does that mean that I would need to take the exam through AHIMA? My next question is (if anyone knows) what are the Pros and Cons of coding for a clinic/hospital versus coding for billing offices? RHIT and CCS certifications are offered thru AHIMA. AHIMA will let you look at their crdentialing so you can determine for yourself if you want to go into inpatient coding. Your second question about Pros and Cons: Coding for clinics and hospitals are different. I wouldn't take a coding job for a billing office unless it was located inhouse at the practice/clinic/ASC, etc. I am an inpatient/outpatient coder for a hospital. I obtained a CPC-H last year hoping it would increase my pay. Unfortunately, I did not realize most hospitals (including mine) prefer the CCS. I am very proud of my certification, but I wish I had researched a little more before spending the money on this cerfication when it is not going to help me financially. Now I have to come up with the money for the CCS test PLUS dues for AHIMA. My daughter graduates high school in May and my dream is to be a remote coder or, even better, a traveling consultant coder. In order to accomplish this I was told I should obtain the CCS. Anyone have any input on this? Thank! 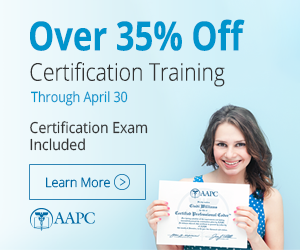 You don't have to be a member of AHIMA to get a CCS and you don''t have to join after you pass the test either. I am contemplating taking the CCS myself because of the wide variety of job opportunities it would present. I hear it is an extremely difficult test and I didn't get the 2 year degree so I'll have to study materials that my coding/billing class didn't cover. Like you, I also really do not want to have to spend the money on an additional test. AHIMA has alot of great information on their site as to what you need to do to prepare to take the CCS. If you're trying to become a traveling coder or remote coder, I fail to see why the CCS would necessarily be your best choice. Not all remote or travel positions relate to inpatient coding. The CPC-H serves just as well to certify coders in outpatient hospital. When applying for jobs it's important to consider the audience. Different credentials relate to different settings.